The long awaited season has arrived. The season of ice cream and watermelon, of picnics and music in the park, of lake days and pool hair. Summer is finally here. 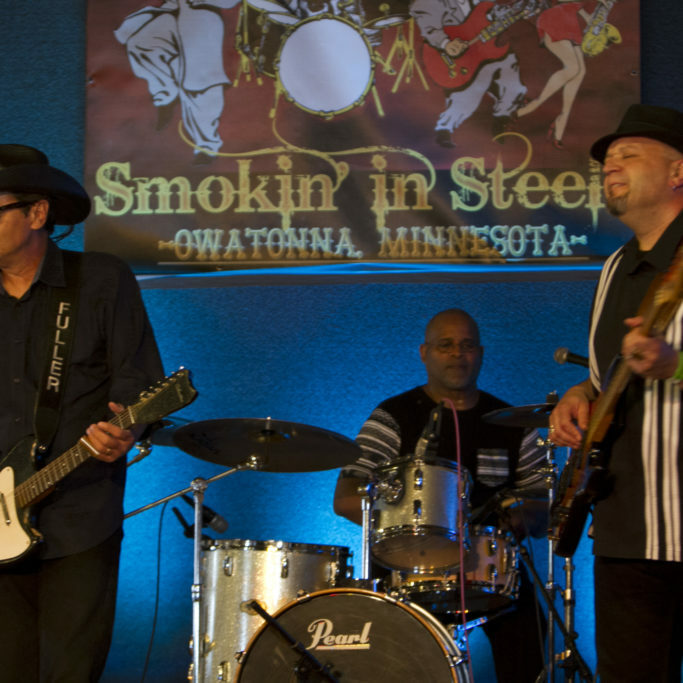 In Owatonna, Minnesota, summer is a way of life and the activities are serious. Serious fun, that is. With something big happening every month, you will want to mark your calendar so you can be sure you won’t miss a single day of fun. What started as a BBQ competition for raising money for local charities, this Festival is now on its 11th year and going strong. Located on the Steele County Fairgrounds, this is a weekend for the entire family, young and old, and everyone in between. “We pride ourselves on having a little something for everyone,” says one of the Festivals coordinator’s, John Hammer. “This year is our biggest list of activities yet!” John isn’t joking- the list of fun is endless. Run a 5k, participate in the family bike cruise, sign the kids up for harmonica lessons or to compete in their own BBQ competition (with everything provided! ), listen to any of the 13 bands playing, watch the pro BBQ competition or the amateur BBQ competition where you can see how your own friends and neighbors do and vote for your favorite. And let’s not forget the beer gardens and food trucks, and the Sunday morning all-you-can-eat pancake breakfast! To come to the event is entirely free, except for the beer gardens which has a $10 fee that covers you for the weekend. 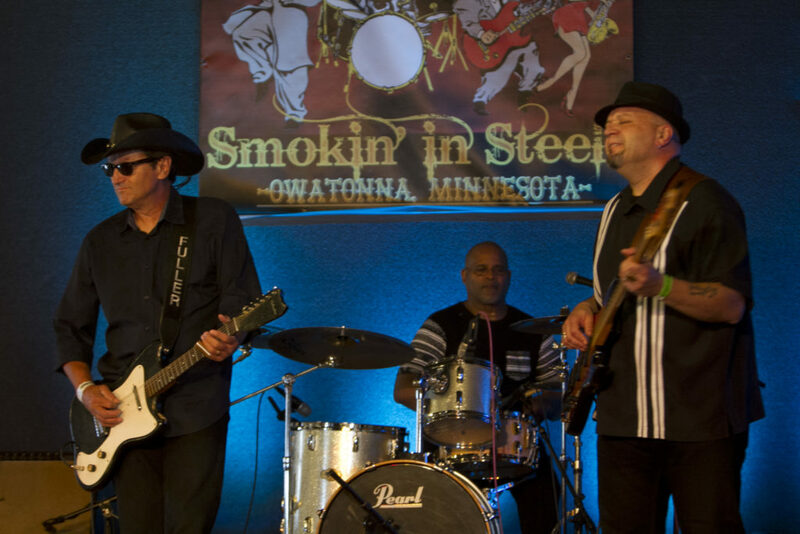 If all of this fun isn’t incentive enough, the heart behind the Smokin’ In Steele Festival will be. “100% of our profits go to local charities, with our main one being the Special Olympics. We’ve been able to increase our giving by 800% since we began, and we only want it to go up from there,” says Hammer. So we have blues, bbq and some summertime fun that’s helping others- sounds like the perfect weekend! 5 days, 300 miles, 650+ riders… Bike MS is certainly a sight to see! 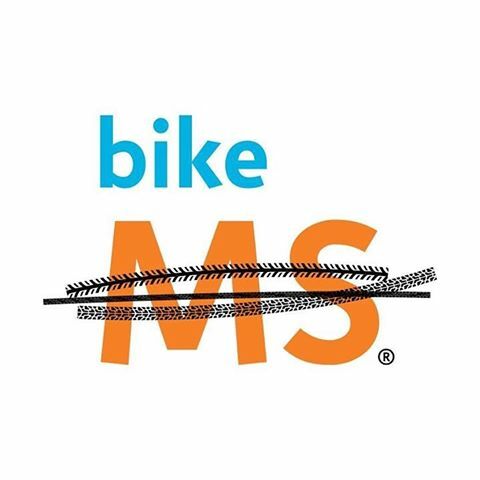 Starting in St. Peters, MN on July 16th, these bikers raising money for MS will begin the trek to Northfield. From Northfield, they will be entering Owatonna beginning around 11am, crossing the day’s finish line at the Steele County Fairgrounds. And this is where the community comes in! Volunteer, or just come cheer these hundreds of bikers on! Step out of your homes to watch them pass, and congratulate and wish them well when you see them at all the local spots and restaurants for the rest of the 17th. The night will hold live entertainment open to the public at the Fairgrounds, and then the bikers will be off and on the road beginning at 6:30am the next morning. The rest of the stops include Waseca, Mankato, and ending once again in St. Peters. This is a fun and very extraordinary sight to behold, and we as the community of Owatonna want to show our biggest display of hospitality. For more information on participating, volunteering or donating, visit their website at https://secure.nationalmssociety.org/. 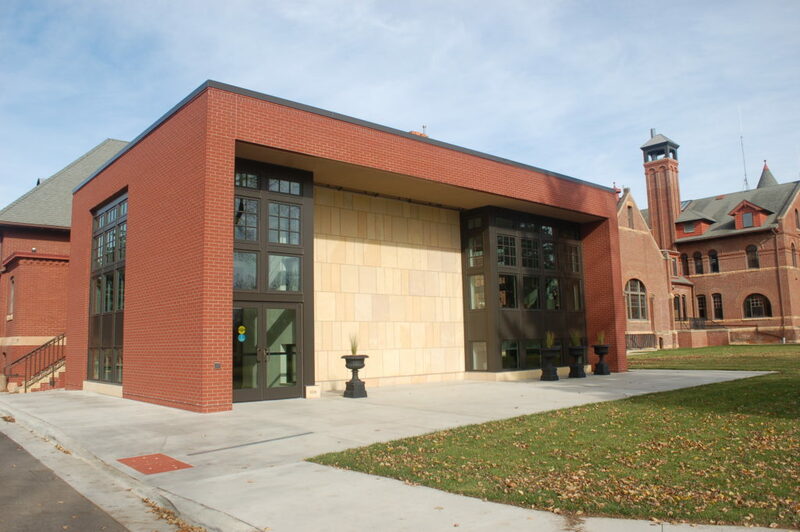 The Owatonna Arts Center has offered fun family-oriented summer events for the last 40 plus years. 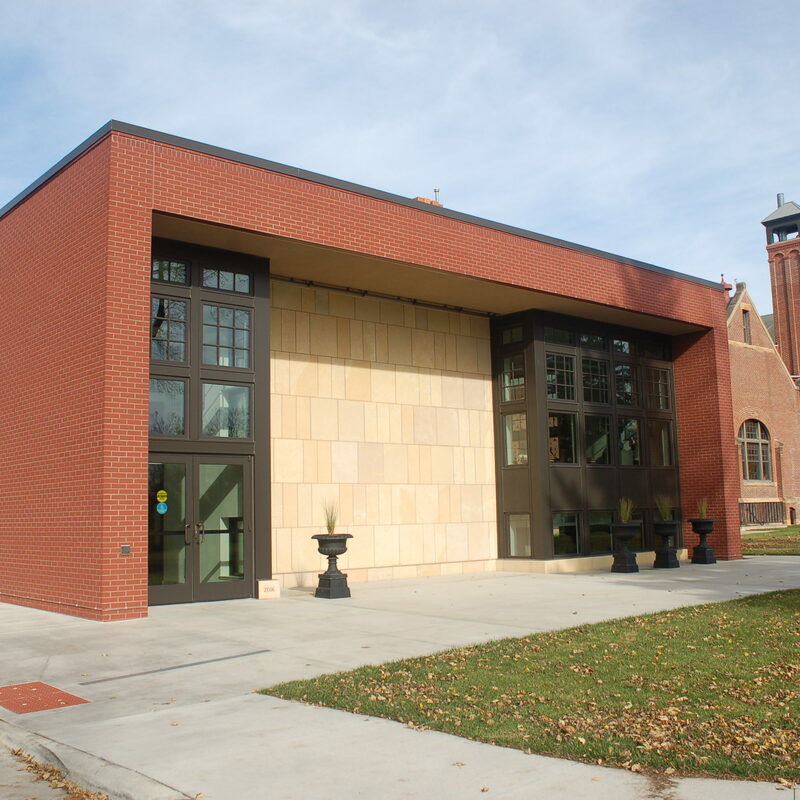 But just last year, the OAC moved their summer events to the beautiful and historic grounds of the West Hills Orphanage, and thus Art on the Hills was born. “It’s such an event to look forward to,” says Silvan Durben, OAC’s creative director and one of the main founders of this event. “We really work hard to show the community a cultural and fun time.” And so much fun will be had! With over 35 artists showing and selling their work, this event promises a little something for everyone. Everything from glass, clay, sculptures, jewelry, oil and watercolor paintings- you name the medium and it will most likely be there! Music will be performed constantly throughout the day, there will be food venders selling a little something to cool you, but also a little something to sustain you, and all is done while you roam the shaded grounds of the West Hills Orphanage (that will have its doors open to the public). The free kids tent will attract the likes of young and old alike, and activities such as live art demonstrations will get your creative juices flowing. This year’s spotlight artist will be Sandy Dinse, a watercolorist that specializes in historical and farm-land paintings. Sunday the grounds will be filled with lovely choir melodies as local churches send over some of their talent. This event is also wonderful for finding that unique piece you were searching to put in your home or office, or as a gift for the wedding or holiday season. Gather your family, or a group of friends, and make this an all-day event that will be a highlight in your summer. In mid-evil times, ship merchants would sail the world and bring back treasures from their journeys to show the people of villages everywhere. And the pirates? They would pillage and steal those treasures right off the ships. “That’s what this festival is dedicated to- those pirates and the treasure they stole,” says Pirate Snake. Being the main man in charge of the revival and location of this festival, Snake has poured his soul into making sure you and your family get the full fun treatment. 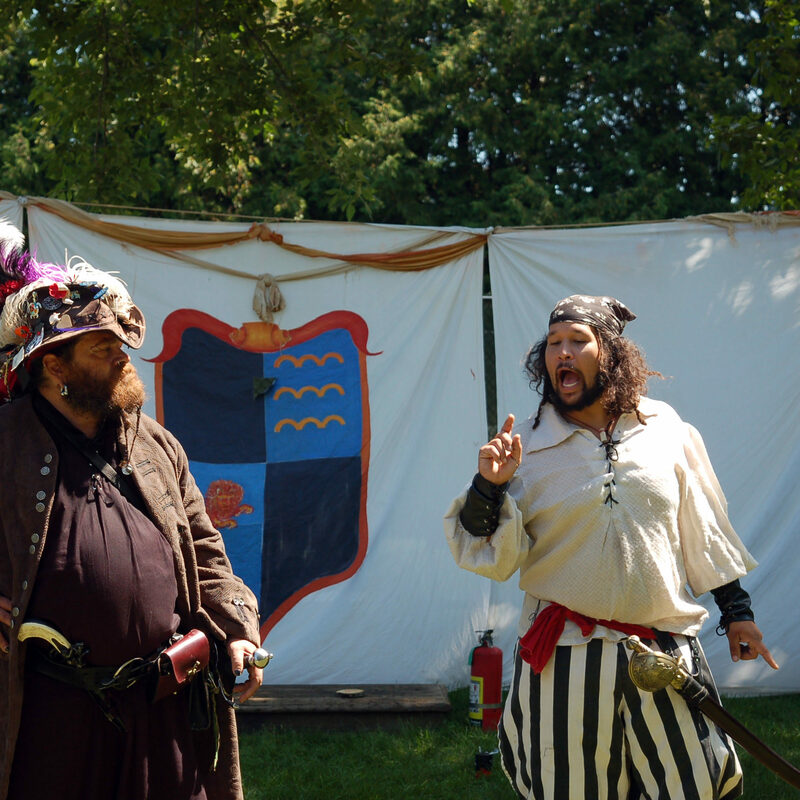 $10 for adults, $5 for kids and the whole day and park is yours for the pillaging. Have fun in the fairy village, watch the fire-eaters, enjoy plays and crazy acts, and look at all the 40+ venders that are selling everything from handmade pottery to jewelry to their own treasures from all over the world. 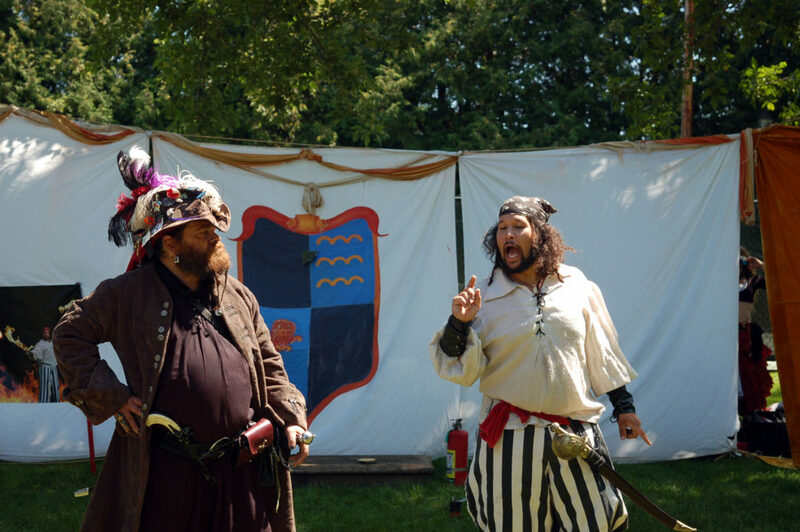 In addition to all of that, there is food and drink to purchase, and activities such as tomahawk and knife throwing for a small extra fee. “Moorhouse Park has everything for the perfect set up- lots of shady trees for our shady characters,” say Snake. Fun times and picture opportunities run endlessly at this event. “Plus, there’s turkey legs. Where else can you go where you can walk around eating a turkey leg the size of your head?” Well, Snake, basically no place other than Moorhouse Park this August. Count us in! In 1874 the Steele County Free Fair was 1 day- because of a grasshopper invasion. In 2018, the biggest free fair in Minnesota celebrating it’s 100th year at this location, will be 6 days and non-stop fun as soon as the gates open at 5pm Tuesday. The attractions are endless: over 100 food venders, 200 animals to see, 450 commercial displays and 7,000 exhibits collectively. New free attractions this year include The Butterfly Experience, where you can hold, feed and learn all about butterflies in the flower gardens grown onsite; and the “decompression area”, a quiet place for all to settle down at some picnic tables, and let the kids play on the playground or draw on the 16×5 mural, before you go back out to the fairway and rides. Oh, and let’s talk about the RIDES! With over 40 rides, there is so much to do it’s crazy. Mega Bracelets will be sold only at HyVee in Owatonna beginning July 15th. With these you can ride endlessly, all day, as much as you want for $55. If you miss that opportunity, there will still be daily specials at the park. Grandstand entertainment will start with the crowd pleasing bull riding and end with the fair favorite on Sunday- the demo derby. The Beer Gardens, where around 50,000 cups of beer will be sold, is where you’ll run into all those faces you haven’t seen for the last year. 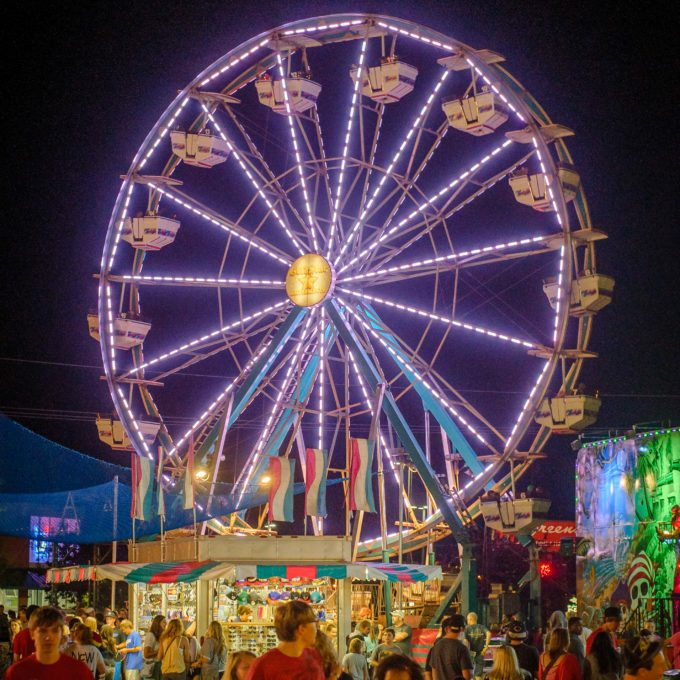 Scheduled entertainment is constant with 2 big stages, evening entertainment in the beer gardens, and even kids entertainment at the Reseland Stage like “Moogician” and “The Bazillions”. To see the schedule of events or just to get more information, head to www.scff.org, and we will see you at the fair! 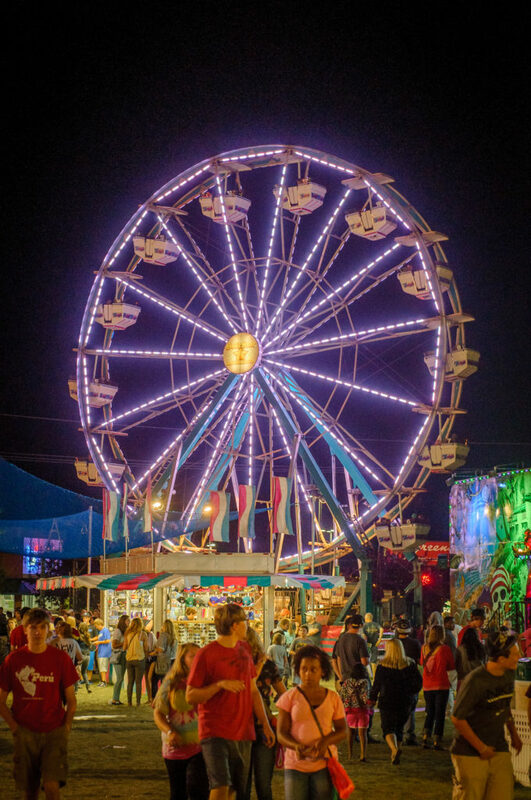 So whether your preference is BBQ, bikes, art, Pirates, or all combined and in between (because thats what fairs are, let’s be real), the 2018 summer in Owatonna, Minnesota is one that will go down in history as a good ol’ fashion fun time full of memories. We can’t wait for you to make yours right along with us.